Kathy Kolbe, Founder of Kolbe Corp, did not invent conation, but the history, the study of conation, and most importantly the measurement and application of conative ability in individuals and teams has been her passion for decades. 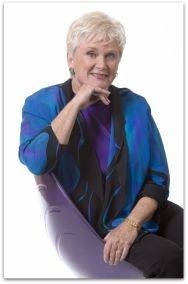 It was through this journey that Kathy created The Kolbe Wisdom™ and invented the first assessment specifically designed to measure and describe conative ability, the Kolbe A™ Index. Today’s assessment tools break out the functional areas of the mind into three areas, Cognitive (how we think), Affective (how we feel) and Conative (how we get things done). One of the first modern day measurement tools in this area , The Wonderlic Test was created by industrial psychologist Eldon F. Wonderlic in 1936 and a form of the test is still used today by many organizations including the National Football League. Later new tests were developed that focused on the affective portion of the mind, some of the most popular include the DISC (1948), Birkman (1951), and the Myers-Briggs Type Indicator (1962). These test were designed to measure feelings, social styles, and other affective behaviors. It was not until 1987 that the first assessment for conative abilities, The Kolbe A ™Index was introduced to the public. Interestingly, the journey to bring it into being is almost as interesting as the test itself. As a young girl and a student, Kathy had to learn how to look at things differently. As a dyslexic in a time where we did not have the accommodations and resources that students have today, traditional learning was an uphill battle. (Kathy’s form of dyslexia is so strong that things we take for granted like telling right from left or reading the hands of a clock are a challenge.) Differences in how she and other learned led to her fascination with the patterns she began to see in the way minds worked. She had a natural mentor whose thoughts she often challenged. Eldon F. Wonderlic was Kathy’s father. Her early work was with all forms of uniqueness, including the gifted and learning disabled in educational environments. But a near fatal 1985 auto accident put things in a new perspective Kathy’s severe injuries included both physical and mental trauma that left her unable to read or write for over a year. She overcame what many believed would be career ending disabilities by using what she had learned about conation, the instinct-driven capabilities she knew she could count on. In the process of re-training her own brain, she learned more about not just how to measure conative abilities, but how to apply them to work situations, relationships, health and other adult challenges. Her determination to write the book that became the foundation of The Kolbe Wisdom™ startled all doubters and led to her becoming known as the proof of her own theories. 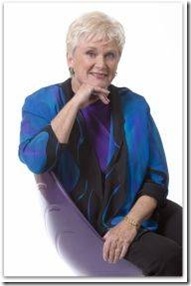 The basis of her consulting and coaching process is her discovery of our conative Action Modes® that are the basis of a person’s MO (modus operandi). 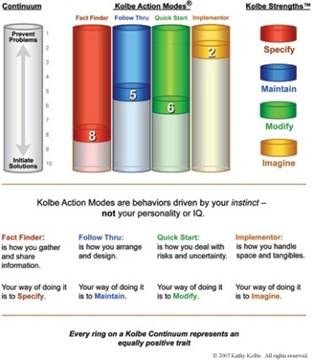 Since conation is the source of human actions, reactions and interactions knowing a person’s MO allowed Kathy company, Kolbe Corp, to predict human performance. 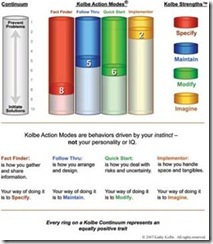 The Kolbe A Index result is a graphical representation of an individual’s way of getting things done. Numeric results in each Action Mode represent different points on a continuum, on which every possibility is an equally positive behavior. There is no such thing as a negative or “bad” Kolbe Index result. Some, however, are more appropriate results for a specific job or on a particular team. For over 20 years Kolbe’s assessments, strategies, and wisdom have benefited tens of thousands of individuals and thousands of corporations and organizations around the globe. Great examples of how individuals and organizations respond to Kolbe resources can be found in this article by Joe Williams speaking about his experience with Kolbe at NASA, as well as these article from the Wall Street Journal, O, The Oprah Magazine, and Time Magazine. To experience the Kolbe A Index for yourself, simply click here. (purchase required) After you complete the assessment be sure to listen to the audio sessions that accompany your results from Kathy Kolbe herself. It’s just one more form of Kolbe innovation. I hope you enjoyed this Inventor’s Profile as we celebrate National Innovators Month.